I've read one of her books before and thought she had the most beautiful prose ever. It's nice to know she's a kind person. A poetic quality permeates her work. I'm amazed as I read different authors. Each one has a unique voice born out of their personalities, life experience, and worldview. 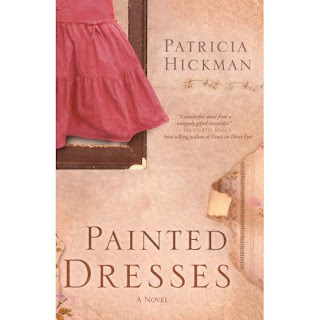 Before I met Patty Hickman, I'd never heard of her or her books. It was her kindness that drew me to her work. Even though I read 2-3 books at a time, I can't keep up with my "To Be Read List." When I find authors I enjoy (and I'm finding many), the list mushrooms. I don't know how you find the time to read and review so many books, but I'm so glad you do! Before I started reviewing books, I built up a backlog of ones I'd already read. I try to stay ahead of the curve. It takes me about 1-2weeks to complete a book.